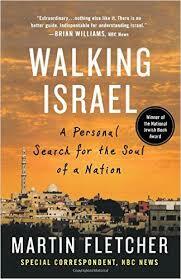 There are 7.4 million Israelis, and 20% of them are Arabs (book published in 2010). The Arabs’ birth rate is higher than the Jews’, and this was a worry for the politicians. Only the Orthodox Jews’ birth rate matched theirs. The projection was that by 2050 about half of all Jews in Israel will be orthodox. Sephardic Jews from Spain, Portugal, North Africa, and the Middle East have now lifted themselves up from the lower rungs of society to having high ranking representatives in politics, army and industry. This highlighted how education, equal opportunities and meritocracy have helped the country. The Israelis with Arab descent are pragmatic. They cling to the security, job opportunities, good education and social security. But scratch deeper and they showed sympathy with their Arab neighbours. Furthermore, many bore a latent resentment because the land that was once theirs, had been seized in war by the Jewish Israelis. A culture of total defence has been deeply embedded in Israel. Everyone openly expressed support for the armed forces and the need for “national service” and both regulars and reservist know that by the time they reached 50 they would have been mobilized for two major military operations, and would know of friends who have died through war. Nevertheless, lurking in the Israeli psyche was still the desire to escape military service. However, during a war everyone chipped in, including ordinary citizens who would deliver free food and other resources needed by the army. The night scene in Tel Aviv was notorious. Living in a country that stepped in and out of wars so often, Israelis do not know if they would will see the light of day. So young people lived life with a vengeance and tasted life to the full. Thus the wild partying in the club scene. Forget about the pious Jew, the typical young male and female Israeli were wild animals in these night spots. The early holocaust survivors had no platform to grieve or talk about their suffering because in the early years they were too engaged in nation-building and defending themselves. A lot of pent up pain needed airing, but people were not willing to listen with patience. “Get over the past and move on” was the mantra, but that approach had not helped the victims of the Third Reich. The kibbutz almost died because of modernity, economics and a straitjacket refusal to change. Through reforms the modern kibbutz are quite different from the earlier models, with more autonomy given to individual families in finances and other areas.